Saudi Foreign Minister Adel Al-Jubeir, in Cairo for an hours-long visit, affirmed the ‘congruent stances’ of Egypt and Saudi Arabia on Syria, while adding that more discussion was needed. Egyptian Foreign Minister Sameh Shoukry has reaffirmed the compatibility of visions between Cairo and Riyadh on the crises in Syria and Yemen, again quashing reports of discord between the two states over the region’s pressing conflicts. “There has not been [any] chasm before. Our [stances] are compatible,” Shoukry told a presser in Cairo in reference to the two countries’ purportedly diverging interests on Syria. Saudi Arabia has staunchly insisted on the ouster of President Bashar Al-Assad’s as a precondition for any future solution for Syria’s four-year-old civil war. Meanwhile, Egyptian President Abdel-Fattah El-Sisi has urged a political solution focused on fighting terrorism, as he made fighting Islamist extremism a main priority since coming to power last year. Egypt has backed a recent intervention by Russia, an ally of Al-Assad, in Syria, saying the move will help eradicate the spread of terrorism in the war-torn country. Saudi Arabia, however, demanded Russia end its military strikes which it said have caused civilian casualties and failed to target militants. Saudi Foreign Minister Adel Al-Jubeir, in Cairo for an hours-long visit, affirmed what he described as the “congruent stances” of both countries over the matter, while saying they “haven’t reached an agreement yet” and that more discussion on the issue was needed. “We all want to preserve the country’s civil and military institution … We all seek security, stability and rebuilding [there],” he said. Al-Jubeir was set to sit with President El-Sisi following the news conference this afternoon. On Yemen, both officials said their countries are committed to stability and legitimate rule in the country. Shoukry said quarterly-based consultations are planned between Cairo and Riyadh with the aim of reinforcing bilateral ties and cooperation on regional affairs. Saudi Arabia, the world’s largest oil exporter, has emerged as a key backer of Egypt’s President El-Sisi and his government following the ouster of Islamist president Mohamed Morsi in July 2013, providing Cairo with billions of dollars in aid. 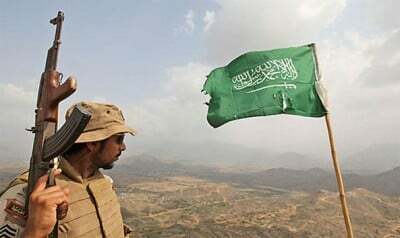 Both Egypt and Saudi are cooperating militarily in Yemen through a Saudi-led coalition of Arab states that has been pounding Shia Houthi rebels there from the air for six months. Arab leaders had agreed in March to form a joint military force to counter security threats in the region and to intervene in troubled areas. They were due to ratify a protocol for the force in August, but the move has been postponed.